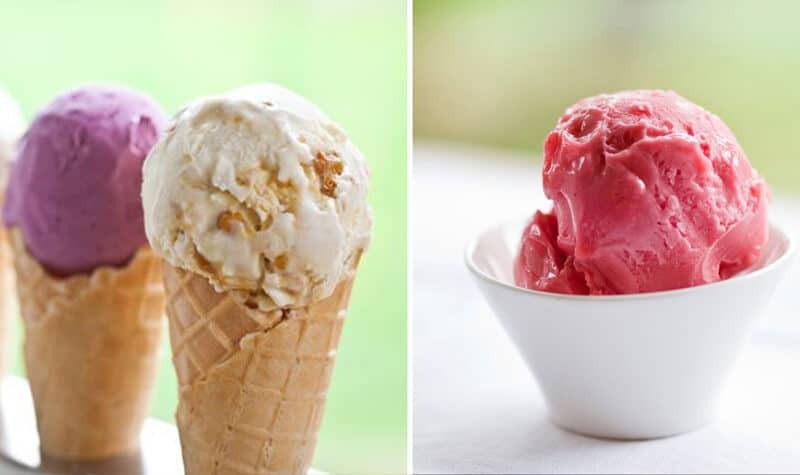 Ice cream has universal appeal, meaning all the family can enjoy the activity! But if you’re going on a walk, you’re going to need something to bribe the toddlers with and there’s no better golden carrot to keep them going than ice cream. When you’re in the area, there is only one place to get your ice-cream – Salcombe Dairy. Their honeycomb flavour isn’t award-winning for nothing and Salcombe Mud (Chocolate and Cookies) will satisfy any sweet tooth too. Delicious! On the hunt for marine creatures, there’s no better way than keeping the kids entertained for hours on end. Limebury beach has lots of rocky coves to explore and discover the sea life that lives under all the nooks and crannies. One tip: bring a clear bucket or box filled with seawater to put the creature in to have a closer look at. It doesn’t disturb the animal as much as you would holding it and you can see from all angles. This is a journey with a difference. A journey that ends up with arriving at the beautiful South Sands beach no less. 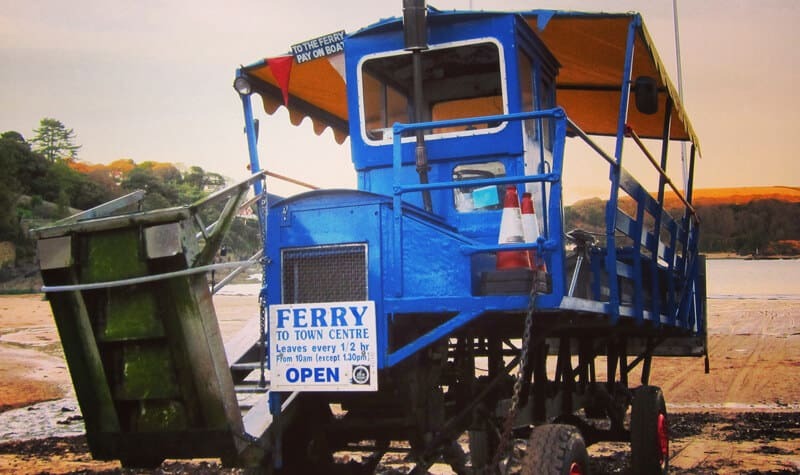 The South Sands Ferry and Sea Tractor entails a ferry ride along the beautiful coastline before a sea tractor meets the ferry out at sea, collects its passengers and rides them up the beach. An experience to be had by all and just imagine the look on the kids’ faces when they realise that they not only experience a ferry ride but get to go on a tractor too! There are two playgrounds in Salcombe – one in the centre of town and easily accessible from the high street (simply walk up the hill from Coleman’s Butcher and take the first left onto Courtnenay Street) with a climbing frame, slide and see-saw. The second is at the top of town but perfect to combine with a visit to the swimming pool. Here you can find a very cool playground even with a death slide! 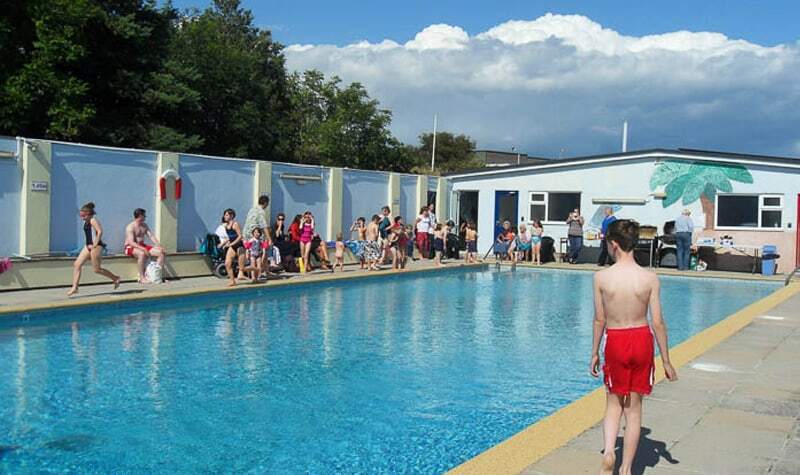 There is an outdoor heated swimming pool open during the summer months in Salcombe. And when we say heated we mean heated! No shivering in this swimming pool making it perfect for babies and toddlers and guaranteed fun for all the family. During term time, it’s only open to the public after school hours so maybe it could be a nice way to round off the day? Not only is Victoria Inn a great little pub that offers delicious pub grub in a quaint setting but behind it lies its (not-so) secret garden along with sun terraces, outdoor seating, play area and the resident chickens and budgies. Babies and toddlers alike will love seeing the chickens and the pub also provides toys, books and pens. So even when the weather isn’t cooperating, you can keep the kids engaged whilst enjoying a pub meal. The kids may as well give into temptation and your baby can have its first taste of the sea by dipping his or her toes in. You can easily keep an eye on the kids as well as let them to roam free, as long as they don’t wade in too far. The National Trust always come up trumps for family getaways and nearby to Salcombe, Overbecks Museum, a house filled to the brim of eccentric trinkets that will keep the toddlers enthralled, and subtropical gardens, full of palm and olive trees and banana plants will have you thinking you’re in sunnier climes. You can even walk along the coast from East Soars Car Park (just over a mile away) and enjoy the spectacular views before arriving at Overbecks. OK, not technically in Salcombe but it’s worth a mention. The Art Café in Kingsbridge provides an educational activity that is fun at the time where you can paint your own pottery. You can even get an unforgettable keepsake of your child’s hand or foot print, meaning that the day will be remembered for years to come. 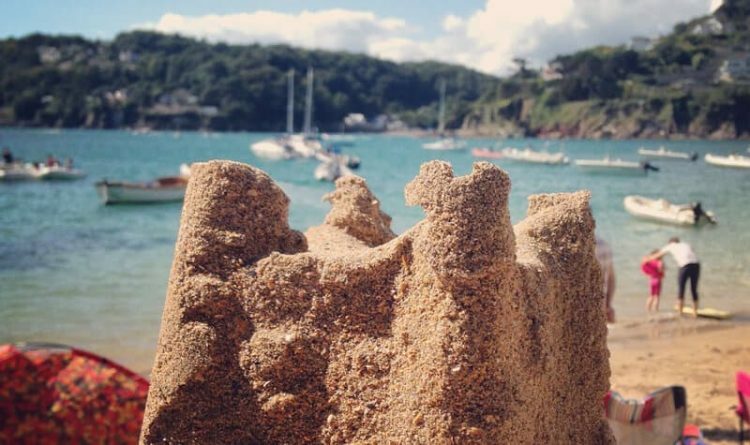 To think that’s just the top 10 activities for toddlers and babies in Salcombe, it makes you wonder what else you can do with the children whilst you’re here! 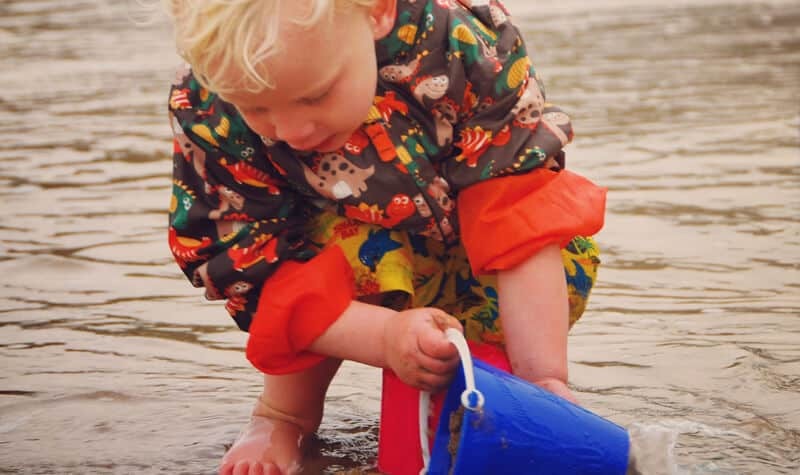 Salcombe’s seaside setting makes it the perfect destination for babies and toddlers so book your Salcombe getaway now with Salcombe Finest.